What is the ICD-10 Code for Amyotrophic Lateral Sclerosis (ALS)? The ICD-10 Code for Amyotrophic Lateral Sclerosis is G12.21. G12.21 is a billable/specific ICD-10-CM code that can be used to indicate a diagnosis for reimbursement purposes. The 2018 edition of ICD-10-CM G12.21 became effective on October 1, 2017. This is the American ICD-10-CM version of G12.21 - other international versions of ICD-10 G12.21 may differ. G12.21 is applicable to adult patients aged 15 - 124 years inclusive. ICD-9-CM 335.20 is a billable medical code that can be used to indicate a diagnosis on a reimbursement claim, however, 335.20 should only be used for claims with a date of service on or before September 30, 2015. For claims with a date of service on or after October 1, 2015, use an equivalent ICD-10-CM code (or codes). More recent version(s) of ICD-9-CM 335.20: 2013 2014 2015. ALS, formally known as amyotrophic lateral sclerosis, is a rare family of neurological diseases that involve the nerve cells responsible for controlling voluntary muscle movement, such as chewing, walking, breathing and talking. ALS is progressive, where the condition becomes more severe over time. ALS is also known as Lou Gehrig's Disease. 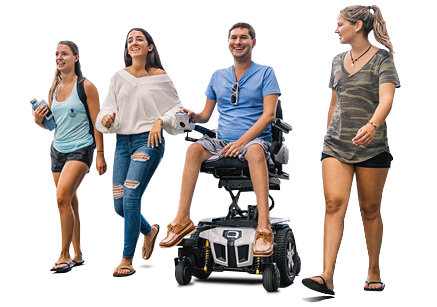 Quantum Rehab, the global leader in clinically-based, user-inspired power wheelchairs, offers technologically-advanced models specifically meeting ICDD Codes for ALS, including ICD-10 G12.21. For more information, please click here.